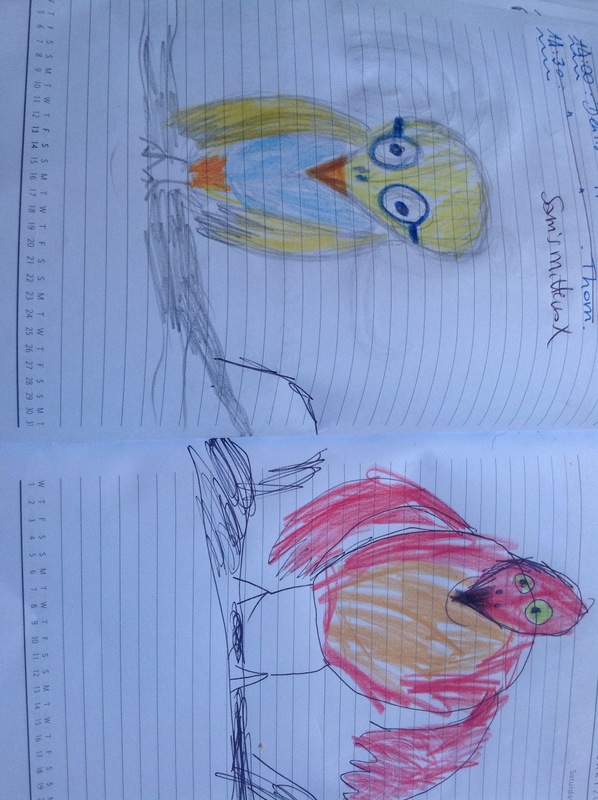 The paper in my new diary does much better with oil pastels. Boy looks so much older on this sketch! One page for each day is plenty for us, as Boy and I aren’t usually that busy :D what we have written down there is usually one or two line of actual scheduled things, like Swimming Lesson, Martial Arts, Gymnastics, or meet up with so and so – or rather knit this for so and so… which leaves us plenty of room for sketching and random thoughts! -yes sorry the light is not that great… but day light is a luxury here on these short winter days! I’ve been finishing up unfinished knitting projects lately. Especially a few orders I didn’t manage to finish on time for Christmas because I was ill. I managed to catch up with the stockinette beast, AKA my Stilll Light Tunic between Christmas and New Year – it felt weird to knit for myself, I wasn’t used to it anymore! So I will not start a new project until I have caught up with everything I have already started – says every knitter – including myself – at the beginner of every New Year. But this year, I mean it. I really, really do! I must catchup on my yoga essays. Must. Now.Go! I’m going to teach 2 new yoga classes a week at the beginning of February. Yoga for backs on Monday evenings and Restorative Yoga on Friday evenings, in Boy’s Martial Arts class venue in Forest Row. As I mentioned earlier, I have been ill for 6 weeks straight. I have only gotten better this week. I had this chesty cough and was just feeling ran down and I needed a new snood. So one night – a few weeks ago – I stayed up all night and knitted myself one. In one night. … but no need to feel sorry for myself, I’m better now! “growth often occur through illness”, they say. I must be fully grown by now! 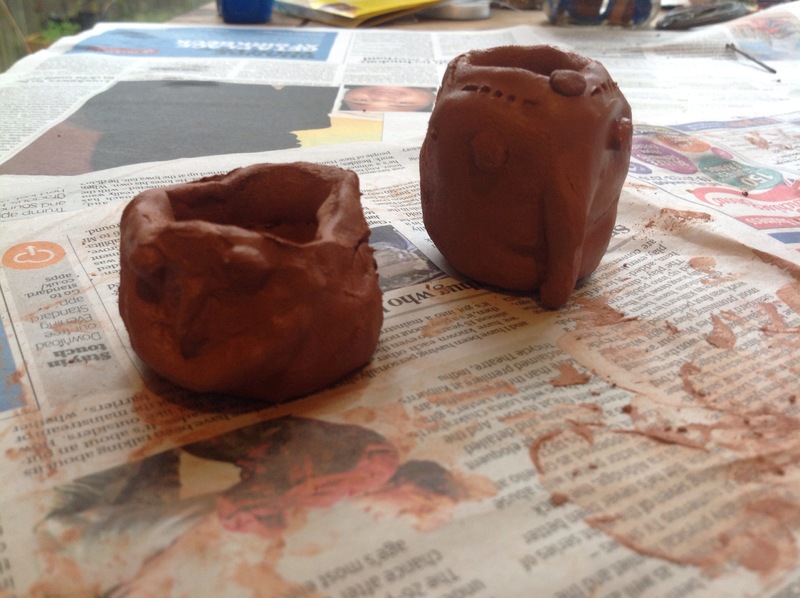 Boy and I had a go on his new pottery wheel and that was good fun: we made candle holders so far. Sounds lovely. Glad you’re feeling better. 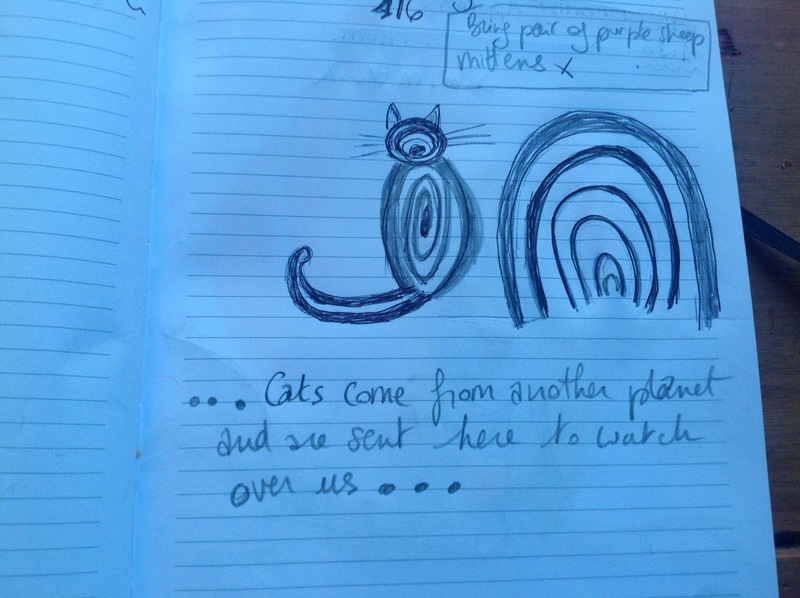 Most of the members of my art journal meetup group keep visual diaries – some do the bullet style but most do what you do and draw and doodle and paint around the diary entries. I expect it must be a useful tool for being prompted to draw every day. I’m sorry to read you’ve been unwell but am glad you practiced self-care and invested your creative talents in yourself. Happy New Year! We are all well despite being surrounded by people suffering from various plagues, thanks for asking. I am pretty disciplined about time and schedules generally so I guess that’s why I try my best to eke out regular art time. 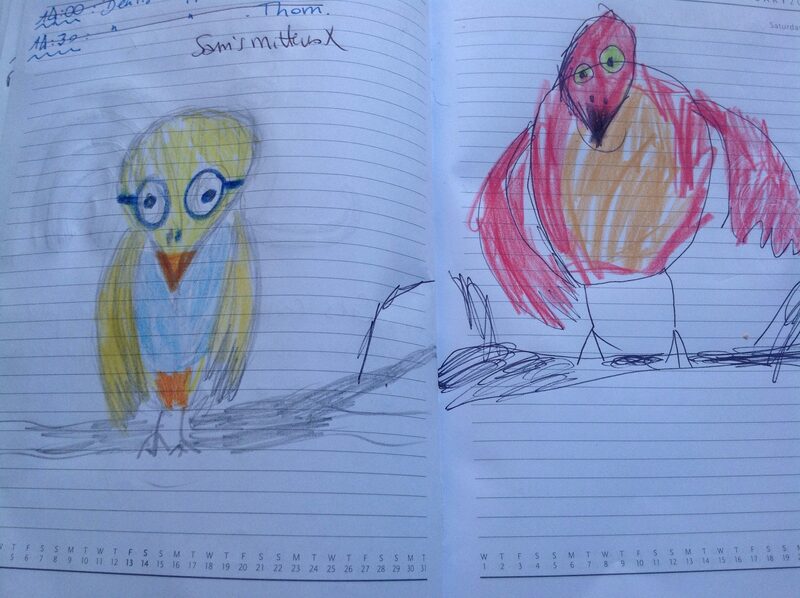 Plus I’m a speedy artist so I get a lot done in small gobbets of time. Phew, you’ve had a busy year already!